The 5 Rotary Clubs of Staten Island and Rolling Thunder NY 2 would like to thank everyone who made this year’s Oktoberfest for veterans a success. It’s our honor to present this Year’s Wall of Heroes. Honor your loved one at our Oktoberfest for Next Years, on our wall of heroes, on our Screen presentation, and online for a year. We offer your name and military branch for $10, or name military branch and picture for $20. 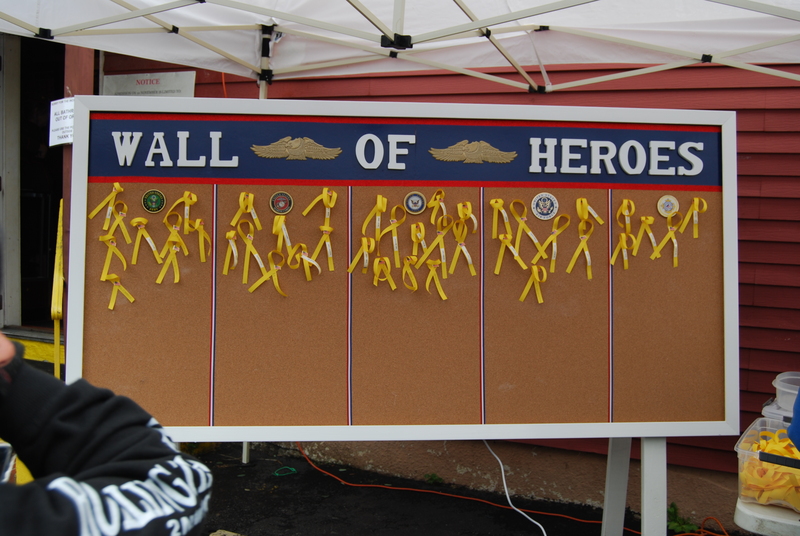 Fill in the form below to enter your loved one on the wall of heroes and donate to help our veterans. Veteran’s name listed on the wall. Veteran’s name listed on the event tv screen. Veteran’s name listed on the website for a year. Veteran’s picture included on event tv screen. After Filling out the Wall of Heroes Form please pay $10 or $20 through PayPal for your Bronze or Silver Wall of Heroes Listing.